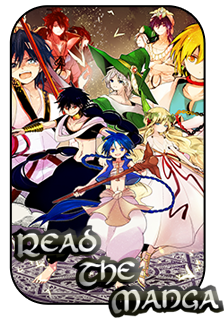 LAgi's Training Grounds "PArt 1"
Magi: The World of Magic » The North West » The Western Front » Battle of a Thousand Swords » LAgi's Training Grounds "PArt 1"
“Today is a good day to train! Don’t you think so Zygus? !” Zygus simply looked at Lagi, and then he continued to nibble on a nearby piece of metal. Today was training day for Zyugs, and it took a long time for Lagi to find a nice place for Zygus to have full access to the majority of his abilities. Surprisingly, the best place for Lagi to fight when he is using Zygus is a place where a lot of metal is located. The battle of a thousand swords seemed to be like a godsend when it came to things like this, Lagi couldn’t of thought of a better place to be right now. The swords were made of good material that Zygus can magnetize, and there were a few new techniques that he wanted to try out. “I just hope this works! “ Lagi was excited, but he was a little anxious. This was his first training session with any kind of beast; I seemed that the only beast that listened to him when he was a kid was Zygus. That’s fairly impressive as well; the race that Zygus originated from was a dangerous breed of birds, but he seemed a little sidetracked sometimes. It was either lazy or he was hardly interested when It came to important matters. Is a good thing that Zygus was a good friend though, he’s always rushing to Lagi’s aid when he’s in trouble? That kind of laziness can usually get you killed “Yawn…” Lagi was definitely tired today, but getting all the training done at a short period of time was the most effective way to do things. Name: Magnetic Field- Attracting Shimmer! Description: Zygus fires off 10 metallic feathers that is 9 meters in length and 4 meters in width. The blades move at the speed of 15 M/S. They cause the damage of cuts that barely go past the skin and just start to touch tissue and muscle. Contact with the blades leaves metallic particles that are hardly noticeable and embedded in the skin, hair, or clothing if possible for the rest of the thread. The particles reminds you of glitter. The particles have an attracting quality that attracts C rank or lower metals to you immediately for the next three posts within 20 meters. These metals will have the default speed of 15 m/s, the damage from these metals varies.The pull doesn't attract higher grade metals. Lagi decided o take a little break after Zygus displayed an incredible performance with his abilities. He casually walked over to his bag that he placed in a nearby ditch and took out some seeds. He then threw the seed on the floor. “Ok, here’s a little snack for ya!” Zygus happily flies over and starts to peck the seeds from off the floor. Lagi starts to write in his tamer book in in the meantime. “Alright, so we got the first set of moves down. It’s about time that we start to train on the second set. If I’m going to beat dad, I have to continue to be vigilant. “The thoughts continued to linger in Lagi’s mind, beating his dad was the purpose of all of this. Some would say that the only thing that can defeat a legend beast is a djinn or another legend beast, but Lagi continued to be ignorant towards the notion. He felt that he could train a beast that is strong enough to defeat a legend beast, but that notion was only because of his pride. “Maybe it’s possible; I just have to keep looking for the right combinations! Ok then, break time is now over! Chop chop! It’s about time that we get started on the next batch of abilities we have in store! Are you ready partner? !” Zyugus screeched in response, but the tone was pretty mellowed out. One could say that it was the sound of happiness for Lagi’s pet. Lagi was also excited that he was going to continue with his training. Finally, the figure has appeared. It was wearing a black cloak with strange markings on it. Zygus looked alerted immediately and attacked, sending a violent wave at the ghost like figure. However, it didn’t work. It seemed like the man was completely unharmed.“I am black gospel, and I will continue to plague this earth until the end of time!” Lagi was practically afraid of the capabilities of what this ghost can do. Or just contemplating the fact if it even was a ghost or not. “Zygus! Its time to run buddy!” Zyygus sheds 10 metallic feathers that is 9 meters in length and 4 meters in width. By shedding a part of its body to make itself lighter. Lagi used this opportunity to make a break for it, he had to escape at all costs. LAgi hoped on Zygus quickly and started to fly off with him. The ghost like figure just stood there, motionless. The face that it had was white, and it looked like it was smiling continuously. “Just what the hell was that thing?! Did we disturb its resting ground or something?! Its definitely becoming a nuisance when we can’t just have a normal day. Description: Zygus sheds 10 metallic feathers that is 9 meters in length and 4 meters in width. By shedding a part of its body to make itself lighter, Zygus gains the base speed of 15 m/s for the next three posts. Its basic attacks not related to its abilities are also as fast. Damage calculation is applied normally and not altered by this ability. 4 Re: LAgi's Training Grounds "PArt 1"